Why, hello there! 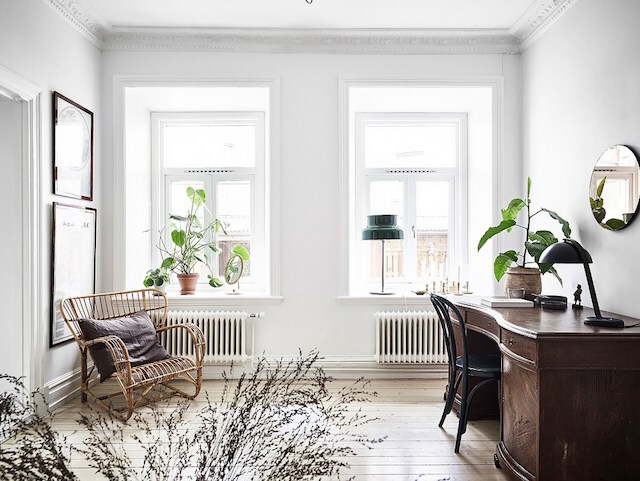 I thought I'd stop by to share this lovely Swedish apartment in Gothenburg with you. 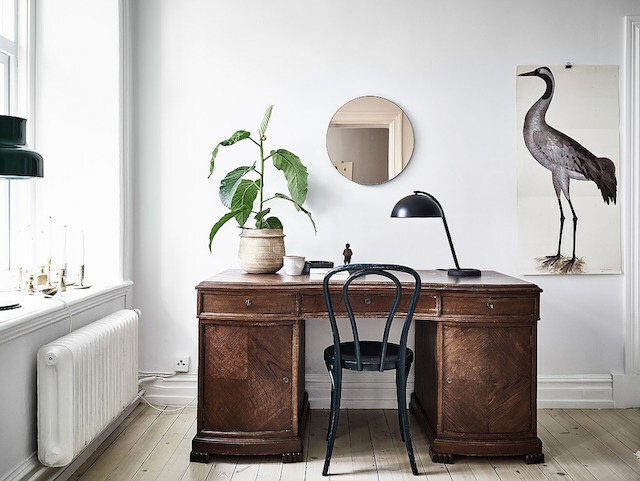 The space has been made extra special by the addition of a few unique, vintage pieces (that desk! ), a wonderful bird print (anyone know where this is from? 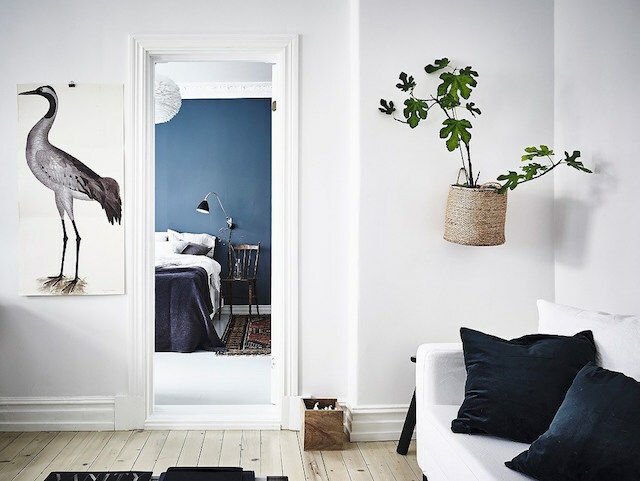 ), a surprising way to hang a plant on the wall and a fab, dramatic blue accent wall in the bedroom. 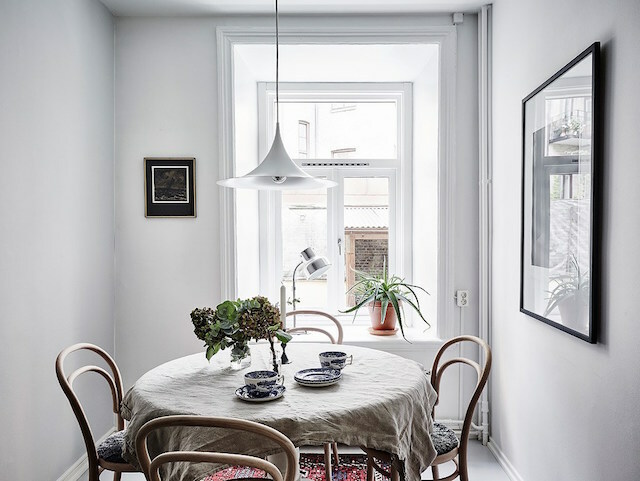 What a perfect tour for some much needed mid-week Scandinavian interior inspiration, don't you think?! Calm, elegant and unique. What's not to love? 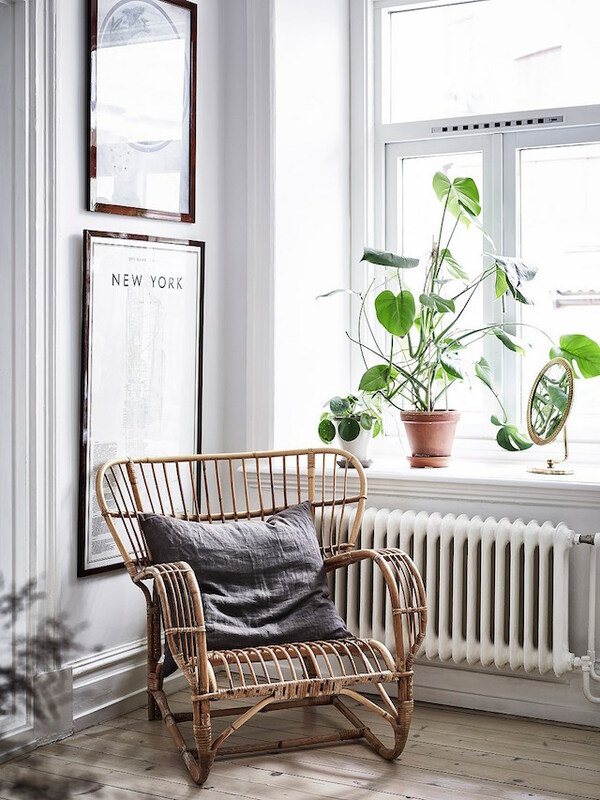 A few pieces I like from this Swedish home: office space - this is a good source for a rattan armchair. 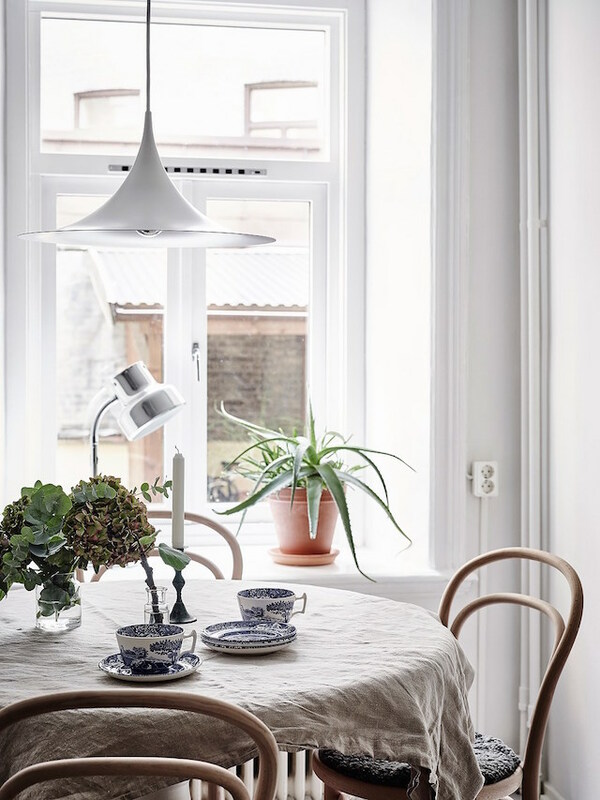 Dining area - Bentwood chairs, natural linen tablecloth, Gubi semi pendant light. Bedroom - Bestlite wall lamp, linen bedding. 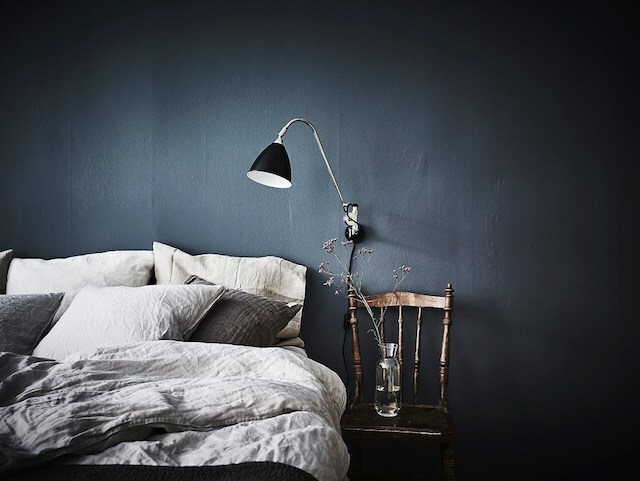 Try samples from Farrow & Ball to achieve a similar wall colour. PS Don't miss the Desenio reader offer to get 25% discount on any poster until 3rd November, 2016 with the code msh25 - here's my pick! I love this apartment. Simple, yet relaxing. The blue wall is a beautiful shade. I just wonder if that ratan chair by the window is comfortable. This place looks incredible! 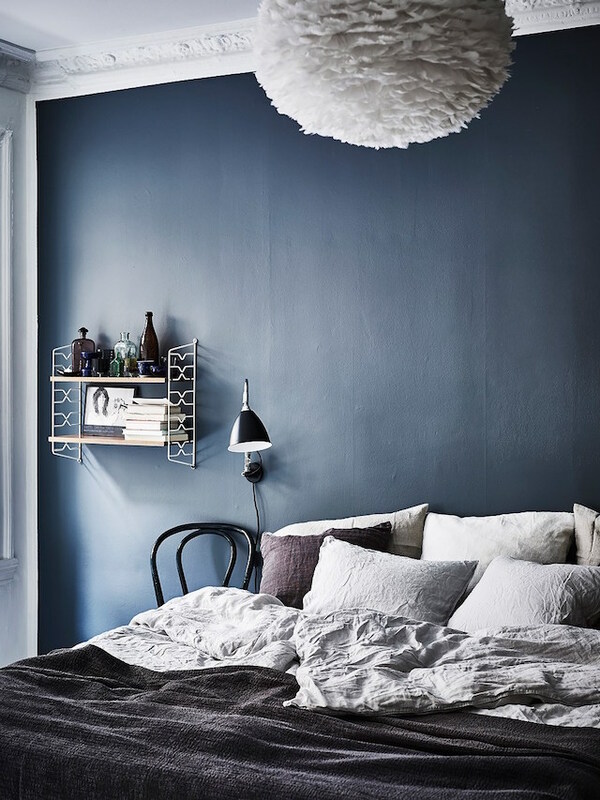 Loving the blue shade for the bedroom too, which looks like a calming haven and offsets the rest of the apartment beautifully. 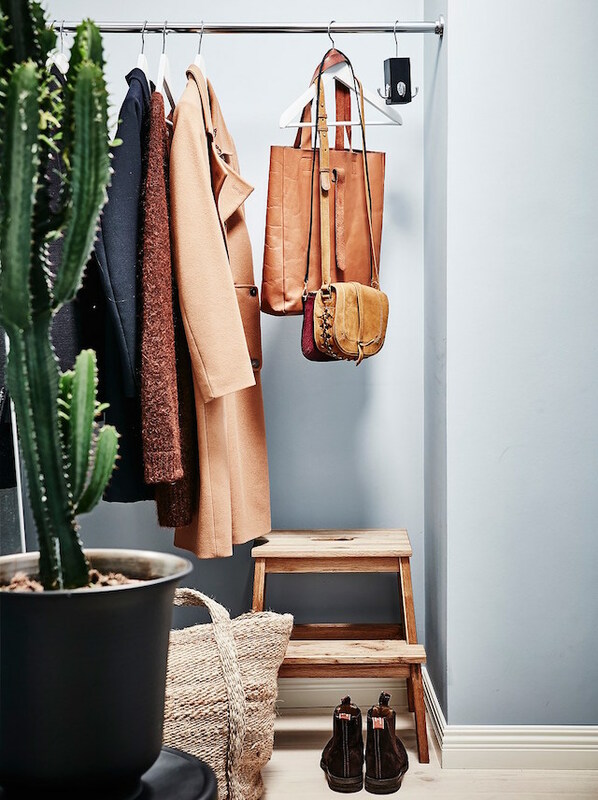 Love the simplicity of this space. We just redecorated our kitchen to look similar and we found these bar stools ( http://www.crowleyfurniture.com/dining-room/dining-chairs-benches-stools/item-53003695/ ) that have really brought the room together. We found them at one of the furniture stores in KC (Crowley Furniture think), but I'm sure you could buy them online as well if you weren't located in the Midwest.